This was the most powerful and fruitful move of God in history. 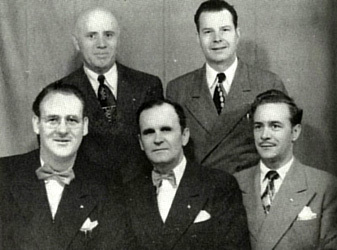 Despite extreme criticism and controversy Pentecostalism was re-vitalised, new evangelistic initiatives circled the globe and the multi-facetted charismatic movement was brought to birth. Today the world-wide Pentecostal/charismatic community numbers over 550 million members and is the fastest growing branch of the Christian church across the nations. We pay tribute to the pioneers who paid such a great price to return the church to its New Testament foundations and showed all who had eyes to see Jesus Christ is the same yesterday, today and forever! 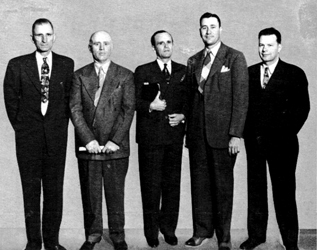 Who were these men? What credentials did they have? 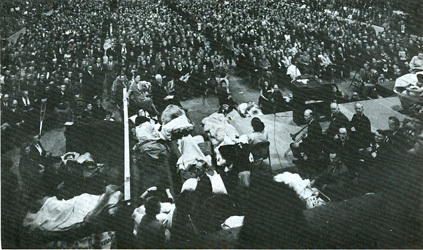 How did they experience such a meteoric rise to international fame and success in preaching the Gospel and healing the sick? Where did they get such power from? 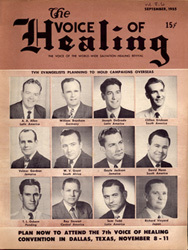 There were around 70 full-time healing evangelists traversing America and invading foreign shores with their message of hope and deliverance from 1947 to the 7o's and beyond. Materials are hard to find but here you will find histories and biographies of these champions of the faith taken from authentic source materials originally describing events as they happened. What did they believe and teach to produce such results? The healing evangelists subscribed to a specific set of Christian teachings which emphasised the truth of God's Word - the Bible, the salvation or conversion by repentance and faith and other orthodox evangelical doctrines. But their unique contribution was far more Pentecostal stressing the Baptism in the Holy Spirit for all those who were believers, the gifts of the Holy Spirit, divine healing, the power of prayer and fasting. Some proclaimed the restoration of apostles, prophets, evangelists, pastors and teachers according to Ephesians 4 and all subscribed to the ability to impart supernatural power through the laying on of hands - and much more. What lessons can we learn from their successes and failures? There is always much to learn from pioneers of the faith who broke through all barriers to see and experience a true move of God - how they prayed, their interior life before God, the methodology they employed and so on. 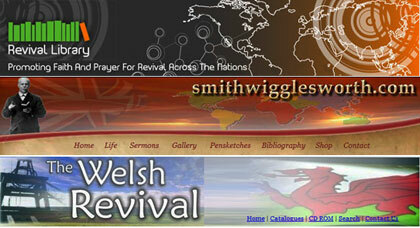 The Voice of Healing website is part of the Revival Library family of websites. They are all dedicated to proclaiming the great works of the Lord that have been accomplished throughout history.